The Fowlea Brook was forded at Longport (or Longbridge as it was originally known) - as far as the Potteries was concerned this was one of the most important...... this was the bridge over which the pack mule teams made their way from Burslem to Newcastle, laden with pottery for export. This track from Burslem, the remains of which are now known as Park Horse Lane, was one of the few true pack horse roads in the Burslem area. 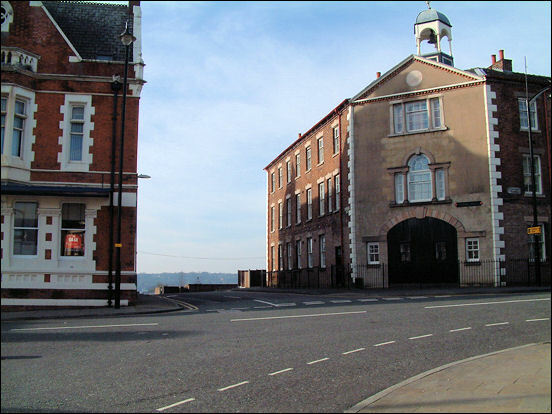 The track ran from Burslem, which was set on a hill east of the Fowlea Brook valley, between the previous District Bank at the top of Newcastle Street and the famous manufactory of Enoch Wood. 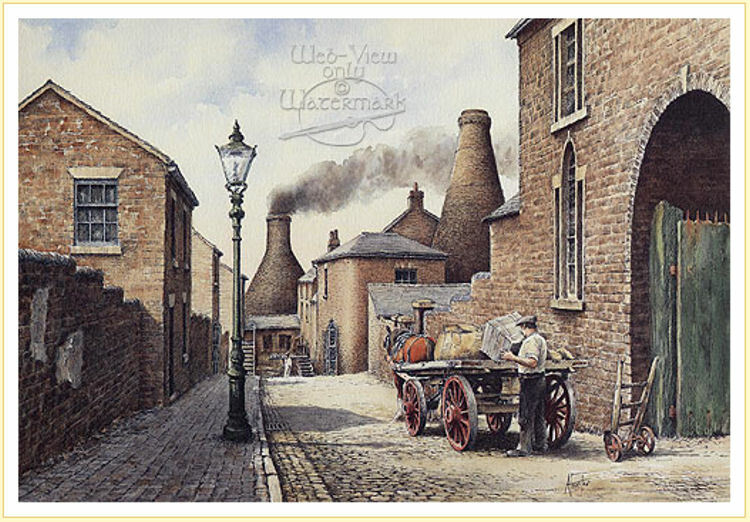 Pack Horse Lane can still be traced in the upper part of the road on the south side of the old Fountain Place Works, it was part of a long and very old road. In Longport itself there is The Packhorse, a public house. "The firm of ENOCH WOOD AND SONS take the lead as Earthenware manufacturers, and have occupied that position for many years; the head of the house, Enoch Wood, Esq., whose name we have had occasion to introduce on several previous occasions, commenced business, in 1783, on his own account, and, in 1790, was joined by James Caldwell, Esq., late of Linley-Wood; the business being then from that time conducted under the firm of "Enoch Wood & Caldwell," until the year 1818, when Mr Wood purchased Mr Caldwell's property in the concern, and the present firm of Enoch Wood and Sons had its commencement. "